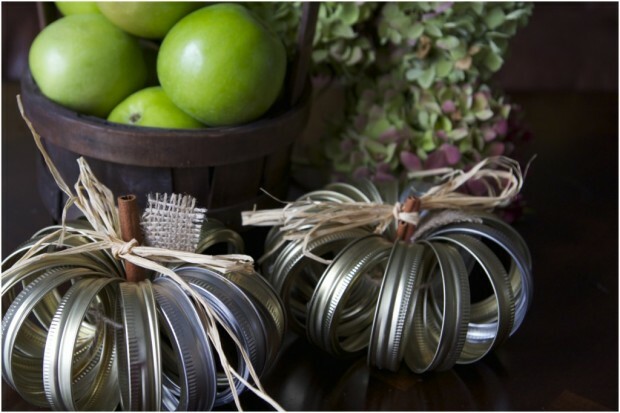 Who says you have to spend big bucks to give your home some fall flair? All you need is a little creativity. If you also have a few basic art or crafting items at home, you may not need to spend any money at all! This fun craft is something the whole family can do. Even little kids can help pick out leaves and other items and place them on the pumpkins. This is a no-carve craft; all you need to stick your stuff down is Mod Podge. These more fanciful versions were made with leftover party napkins and glitter. 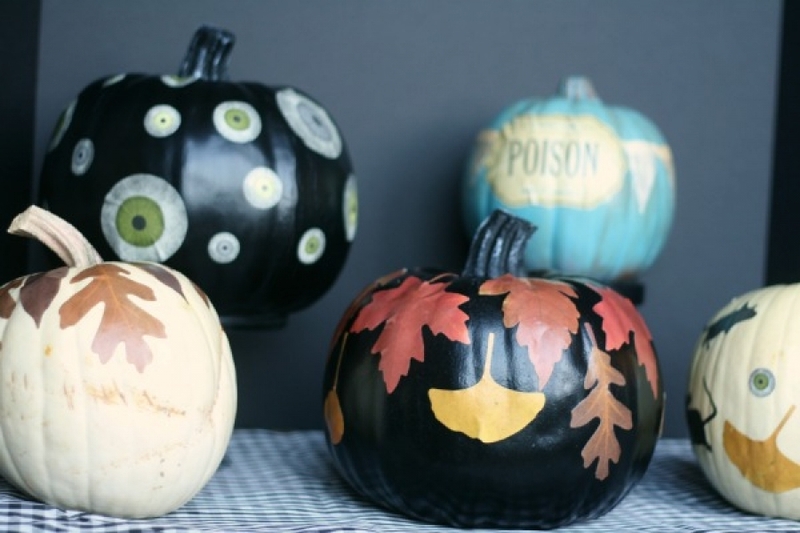 Note that you can decoupage a real or craft pumpkin. diynetwork.comYou don’t need super DIY skills to create a warm welcome this season. For this great-looking wreath, you don’t even need a wreath form! Just go grab a wire hanger from your closet. doityourselfdivas.comIf you don’t live in an area where you can readily find pinecones or or don’t want to go foraging through nature, try using felt instead. The bonus: you can choose any color you want! 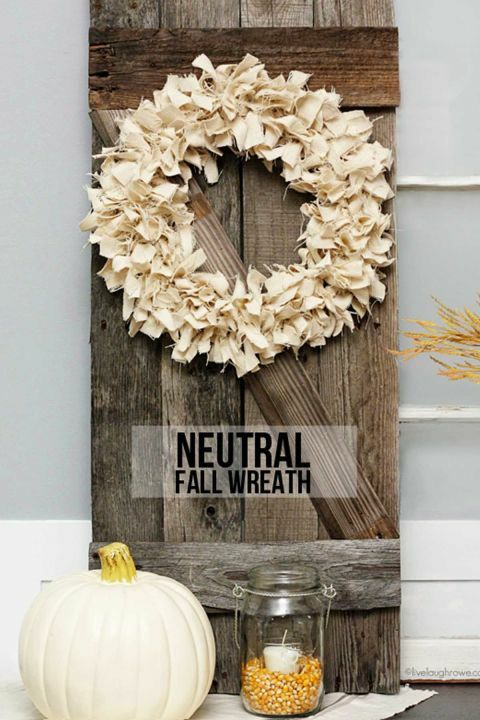 nestofposies-blog.comOr, pick up a simple dropcloth to make this neutral, chic wreath that will certainly get noticed. 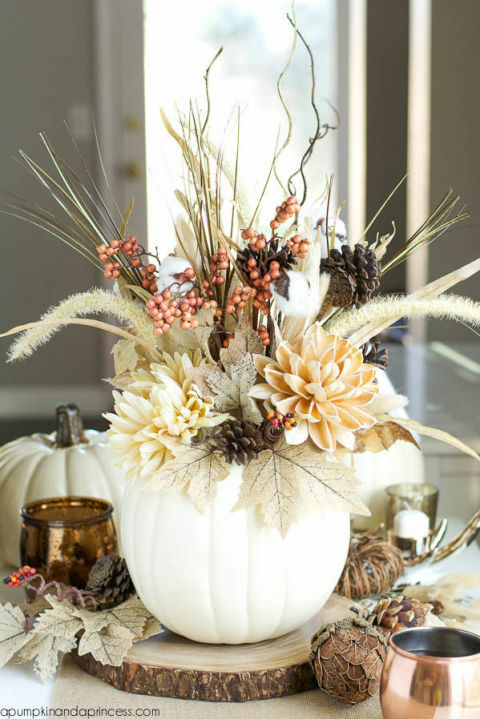 womansday.comThe great thing about faux, carvable pumpkins is that you can use them to create gorgeous centerpieces without worrying about the pumpkin going bad. We love this mix of florals, leaves, and filler. The best news is that you can cover and store it, and then take it out again next year! 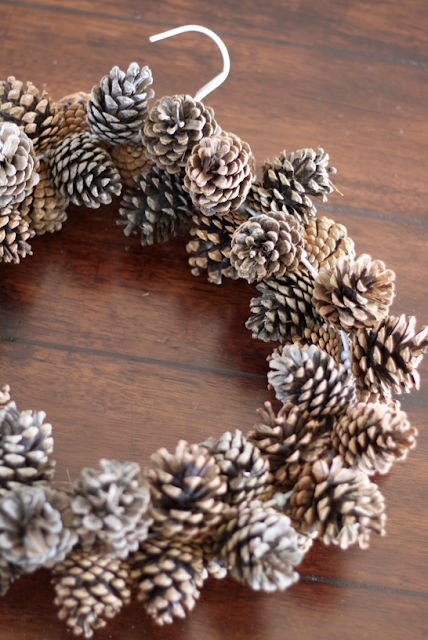 countryliving.comThere’s a reason pinecones show up so often in fall décor. Not only do they exude the bounty of the season, but they’re also: free, or at least inexpensive if you don’t live in an area where they fall from trees; and, they can be used in so many ways to create inviting décor. 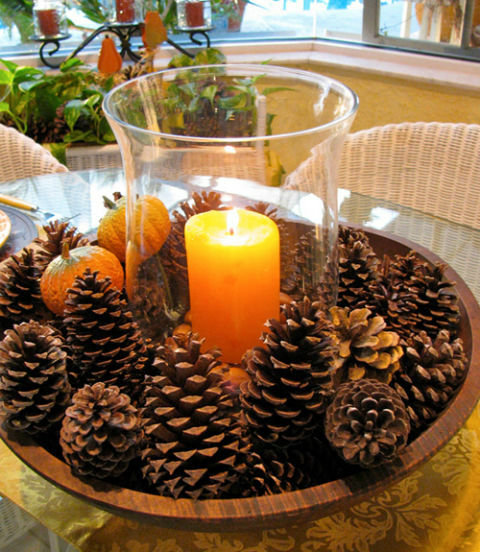 This centerpiece couldn’t be easier, with a hurricane in the center of the big wooden bowl, surrounded by pinecones and mini pumpkins. You could also choose to just use the pumpkins, an array of mini gourds, or acorns. When it gets closer to the holiday, add in cranberries. countryliving.comYour kids are going to love helping you make this one. “Faux leaves become pretty lightweight bowls with just a little DIY time,” said Midwest Living. “Blow up a balloon (the larger the balloon, the larger your bowl will be) and rest in in a bowl. Cover the top of the balloon and the top sides of leaves with decoupage medium. Gently layer the leaves face down on the balloon, forming a bowl shape. Brush more decoupage medium on the backs of the leaves. Let dry, then poke a hole in the balloon and discard balloon.? 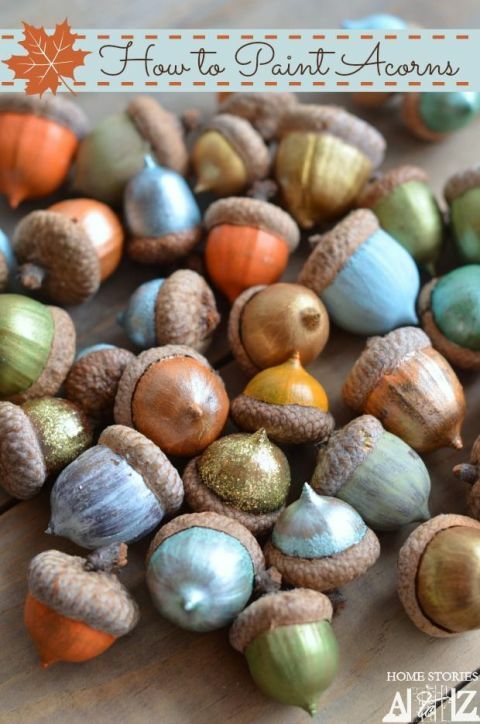 http://www.midwestliving.comAnother fun way to use acorns will yield pretty, sparkly finishes that look great displayed through the holidays. http://www.goodhousekeeping.comWe love being able to use unconventional materials to create something special, and these mason jar lids fit the bill. Simply fasten them together and add any accoutrement you wish.